1 Christ is God’s Son – You, the precious One – as He created Him. And continues to create You; not a one-time creation that’s open to deterioration! He is the Self we share, uniting us with one another and with God as well. Just as the Rays are intrinsic to their Source, the Sun, You’re intrinsic to the One.. He is the Thought Which still abides within the Mind That is His Source. For You are thought, consciousness, not ‘matter’. And this ‘He’ is You. He has not left His holy home nor lost the innocence in which He was created. Nor have You either. After all a dream is just a dream and not Reality! He abides unchanged forever in the Mind of God. This experience is never static but happiness that unfolds forever. 2 Christ is the link – which guarantees Your everlasting Oneness with Your belovèd Father-Mother – that keeps you one with God and guarantees that separation is no more than an illusion of despair. Something You made up jointly with Your Brothers for Your own bizarre entertainment. You can discard it! For hope forever will abide in Him. Not a human sense of hope, but confidence that all is Good.Your mind is part of His and His of yours. The ego lies and claimes to be You too. Yet despite the ego’s awful falsehoods, His Mind is everything that’s Real of You. He is the part in which God’s Answer lies, where all decisions are already made and dreams are over. Such is Christ as You; Your Reality. He remains untouched by anything the body’s eyes perceive. For though in Him His Father placed the means for your salvation, yet does He remain the Self Who, like His Father, knows no sin. This holy state is also True of You. 3 Home of the Holy Spirit and at home in God alone, does Christ remain at peace within the Heaven of your holy mind. For All there really is is God as You; all else is dreaming. I cannot repeat this Truth too often: This is the only part of you that has reality in truth. The rest is dreams. Your whole experience, the claims of ego, never based on Truth. Yet will these dreams be given unto Christ to fade before His glory and reveal your holy Self, the Christ, to you at last. To make this Gift of Self to Christ, let Your dreams be full of God. 4 The Holy Spirit reaches from the Christ in you – Christ is the True You, not the impostor a.k.a. ego – to all your dreams and bids them come to Him to be translated into truth. He will exchange them for the final dream which God appointed as the end of dreams. For when forgiveness rests upon the world – when Love replaces judgment and charity, self-righteousness, then dreams’ end is near – and peace has come to every Son of God, what could remain to keep things separate, for what remains to see except Christ’s face? So lovely that hatred turns into Love. 5 And how long will this holy face be seen, when it is but the symbol that the time for learning now is over and the goal of the Atonement has been reached at last? So therefore let us seek to find Christ’s face and look on nothing else. Let but His Love be Your motivation. “Forgive them for They know not what They do.” It is as true now as it was back then. As we behold His glory will we know we have no need of learning or perception or of time, or anything except the holy Self, the Christ Whom God created as His Son. Remember this: That the Christ is Your only Reality! The stillness of the peace of God is mine. I never dreamed such happiness and peace were possible in the midst of this world. A miracle, yet it seems so right and very natural. 1 Perhaps we are now ready for a day of undisturbed tranquillity. To understand dreams need not be disturbing, even nightmares, for they are not real. If this is not yet feasible, we are content and even more than satisfied to learn how such a day can be achieved. And to appreciate this great happy possibility! If we give way to a disturbance, let us learn how to dismiss it and return to peace. This, too, is a journey without distance. We need but tell our minds with certainty, “The stillness of the peace of God is mine,” and nothing can intrude upon the peace that God Himself has given to His Son. When You stand for Truth, then the Truth is Yours. 2 Father, Your peace is mine. For the same reason: I commit to it. What need have I to fear that anything can rob me of what You would have me keep? The world may say so, yet Your Son has overcome the world! I cannot lose Your gifts to me. And so the peace You gave Your Son is with me still, in quietness and in my own eternal love for You. This choice has always been available to Me. And now, happily I claim it. How can illusions satisfy God’s Son? They can’t! That’s why the theme of the world is the song: “I ain’t got no satisfaction”! For there is nothing good found in matter. 1 Father, the truth belongs to me. It is Your Gift of Love to All Your Sons and All Your Daughters. My home is set in Heaven by Your Will and mine. It is quite important here to understand that Heaven is not a place to go to but a Divine state of Mind. Can dreams content me? Well they appear to, superficially. Yet always is the underlying longing for something far, far better. Can illusions bring me happiness? I pretend they can. Pretend isn’t God’s Reality. What but Your memory can satisfy Your Son? There is nothing else. I will accept no less than You have given me. All the Good I had stupidly discarded, preferring dreams. 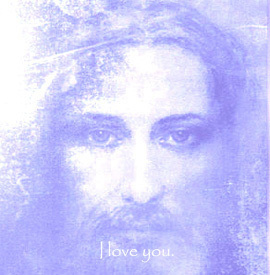 I am surrounded by Your Love, forever still, forever gentle, and forever safe. Within, without, I am completely Love. God’s Son must be as You created him. 2 Today we pass illusions by. We shall refuse to believe them. And if we hear temptation call to us to stay and linger in a dream, we turn aside and ask ourselves if we, the Sons of God, could be content with dreams when Heaven can be chosen just as easily as hell and love will happily replace all fear. And, then, let’s be willing to Awaken. Christ’s is the vision I will use today. For I choose to use it instead of ego’s so-called ‘eyesight’. Christ’s Vision does show Me lovely views so that I may gladly Love All My Brothers. 1 Each day, each hour, every instant, I am choosing what I want to look upon, the sounds I want to hear, the witnesses to what I want to be the truth for me. All of what I see is insanity! Why would I choose that when I can choose Love? Love is Our reward for choosing again, with the strength of Christ as Elder Brother counsels Us to do. Today I choose to look upon what Christ would have me see, – a world transformed that is near to Heaven – to listen to God’s Voice, words of Love beyond what has been spoken, and seek the witnesses to what is true in God’s creation. I can learn to see My Brothers as the holy Sons of God In Christ’s sight, the world and God’s creation meet, and as they come together, all perception disappears. And Reality begins to appear! Joyous unfolding right before Our eyes! His kindly sight redeems the world from death. For nothing that He looks on but must live, remembering the Father and the Son; Creator and Creation unified. So still does Christ heal the sick and raise the dead for He sees something very different. And We can gladly learn to see as He. 2 Father, Christ’s vision is the way to You. What He beholds invites Your memory to be restored to me. For He can see only Your Perfection as the face of each one of Our Brothers. And this I choose to be what I would look upon today. With You Guiding Me, I, too, can learn to see and to be Your Holy Perfection. I will not use the body’s eyes today. I’ll see how it feels – in some small measure – to be consciousness instead of body. Instead of believing what I think I see, I’ll turn to You, Father, to ask: What’s that there? What does that mean? Etcetera. And then, I will listen for Your answer. And I will heed it. Father, Christ’s Vision is Your gift to me, – to see as You do, in some small measure – and it has power to translate all that the body’s eyes behold into the sight of a forgiven world. Lifting the ego fog covering Your mind, it gives the Beholder clearer sight. How glorious and gracious is this world! – How lovely when We bypass the ego. How beautiful its natural wonders, all God-created. How beautiful Myr Others are when They’re seen apart from ego. Yet how much more will I perceive in it than sight can give. The ego view is a very limited experience. The world forgiven signifies Your Son acknowledges His Father, – is open to and expectant of seeing Reality – lets His dreams be brought to Truth, – for their uplifting – and waits expectantly the one remaining instant more of time, – yet not fooled by it – which ends forever as Your memory returns to him. And now His will is one with Yours. – and not just to His mind, for it fills His entire Be-ing – His function now is but Your own, and every thought except Your own is gone. Your own thoughts now freed from ego: Your Knowing of Holiness. This is Your Right Mind! Holiness presence-ing as happiness. 2The quiet of today will bless our hearts, and through them peace will come to everyone. A quiet Love for all mankind, the sleeping Sonship, will bless the dream You call the world, and bring the Awakening to Light. Christ is our eyes today. His blessèd Vision can be Ours as We are very willing. And through His sight, we offer healing to the world through Him, the holy Son whom God created whole, the holy Son whom God created one. We All are that One. My sight goes forth to look upon Christ’s face. What I wish to see will be My Vision. How different this is from the ego-vision, looking always how to win by justifying its own behavior as so much better than that of its Brothers. The Son of God, on the other hand, loves to look with Love to magnify the goodness of His Brothers. 1I ask Your blessing on my sight today. Please clear and heal it belovèd Brother, and please give to Me holy clarity. It is the means which You have chosen to become the way to show me My mistakes and look beyond them. Lift My thought above the churlish ego. It is given me to find a new perception – new way of seeing, better way to see: through the eyes of Love – through the Guide You gave to me and through His lessons to surpass perception – and return to truth. I ask for the illusion which transcends all those I made. For this one only thinly veils the Reality of Love. 2Today our sight is blessed indeed. Instead of ego-view, We see as One with Holy Spirit. We share one vision as We look upon the face of Him Whose Self is ours. We see the Real We. We are one because of Him Who is the Son of God, of Him Who is our own Identity. There is but One Son, with Infinite Expression. Therefore, what’s true of One is true of every One. Come be the Son. Again, repeating: God’s Son is the one Truth of each and every One. You are included!